Oakey doakey everyone. 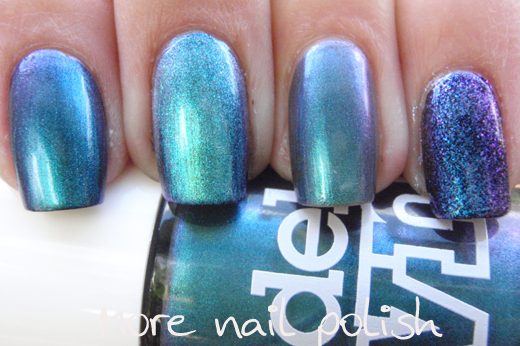 There are lots of gorgeous swatches of the Models Own Beetlejuice collection popping up on blogs at the moment, but unlike all those very organised ladies who swatched the entire collection for a post, your going to have to make do with one polish at a time from me. 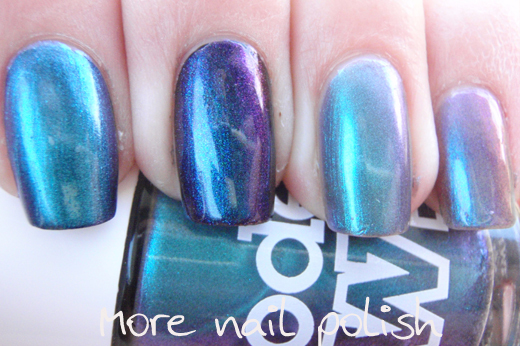 But, I have done lots of comparison pictures to try and make up for it, and really there are just far too many photos to do more than one polish at a time. 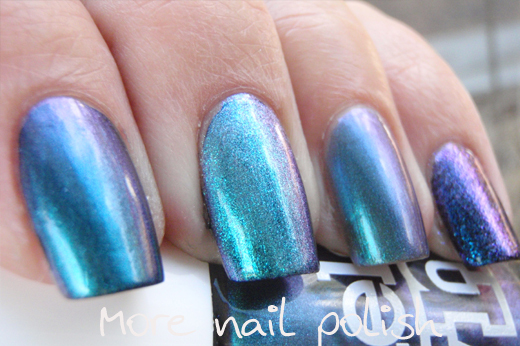 First up, Aqua Violet which, together with the rest of this collection, takes the prize for the dullest names in the history of dull and boring names. 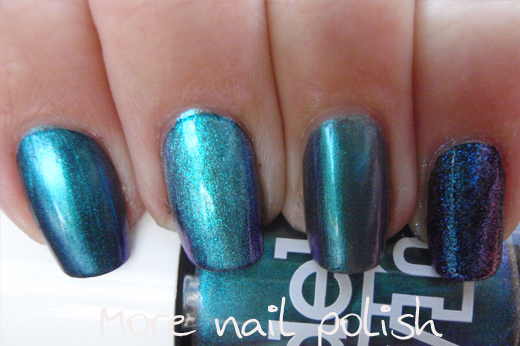 Here is Aqua Violet on it's own, three coats. 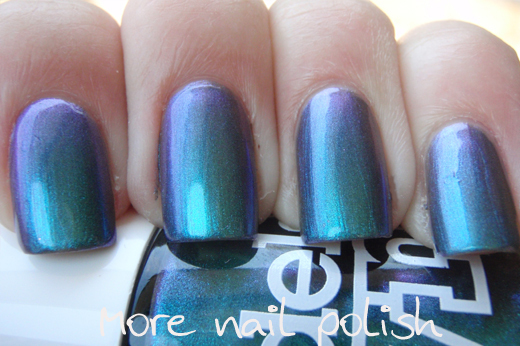 Very pretty aqua to violet duo-chrome shift. 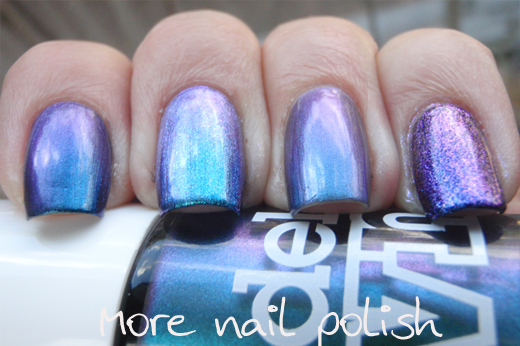 At some angles Ozotic 505 on it's own looks similar to Aqua Violet, but in reality, Ozotic 505 is so sheer it's not really worth comparing. 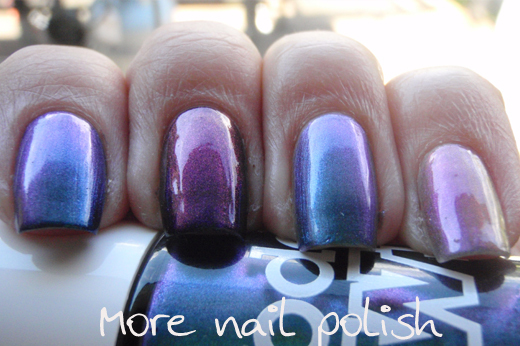 Over black, the purple shift in Ozotic 505 is much stronger than Aqua Violet. Pinky - two coats Cherika Moon over black. 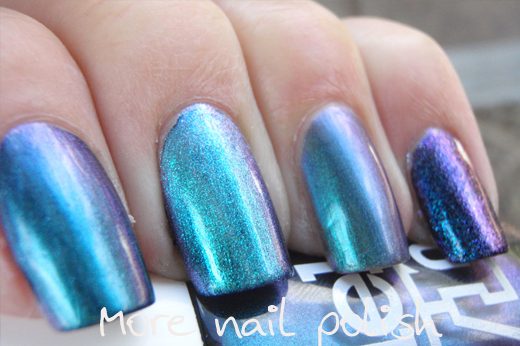 Both the custom polishes with TKB pigments were a really close colour match, although the larger glass fleck particles in Cherika Moon give it a totally different appearance. 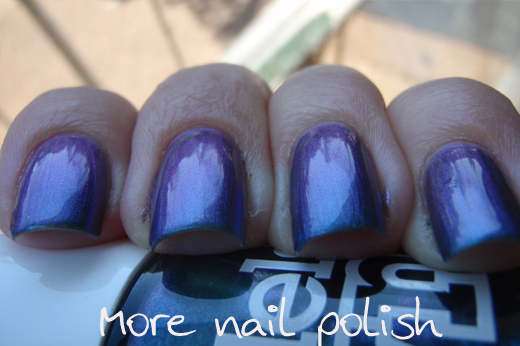 The Luna Blue moondust was a the closest match to Aqua Violet, but it was actually much more sparkly in the sun. 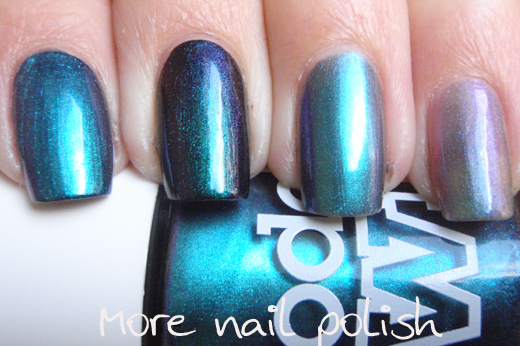 I think I actually prefer the Luna Blue moondust polish over the Models Own polish. This is awesome! :D I like Luna Blue better too! This Models Own of this is the only one I wish , others think it has something like this is but one for me! 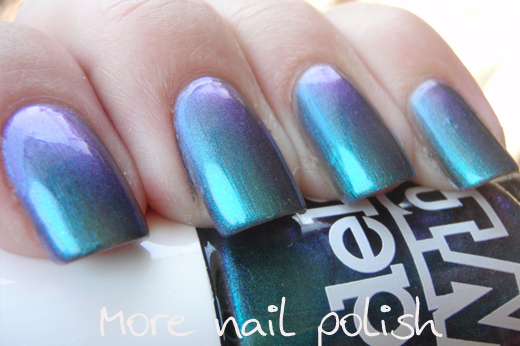 You've seen the Franken that I did with Spectra? The violet looks very subtle to me - or is it just how they come out in the pics? Great comparisons! I've been curious to how this holds up to Ozotic 505. Thanks! I always love your comparisons, they're so thorough! Thank You!! As always - your comparison posts are terrific. Great post! 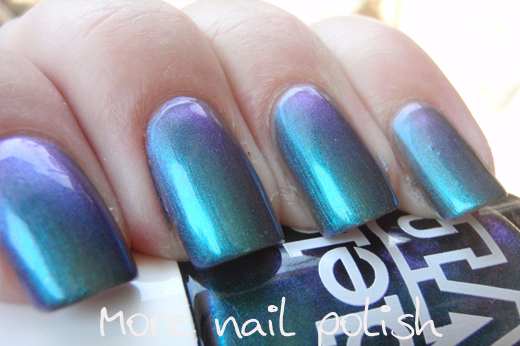 That MO polish is so pretty! GAH! 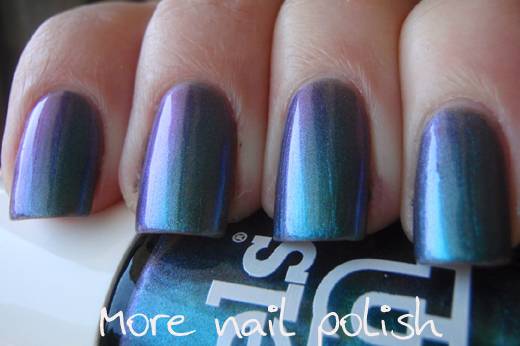 that Aqua Violet color is great! I am a sucker for a good duochrome. Nice comps. I kind of want that entire freaking beetlejuice collection. It's beautious!